A perfect breakfast with milk and fresh blueberries – or mix with Greek yogurt! Preheat oven to 300 degrees. Line two baking sheets with parchment paper. Mix all of the ingredients in a large bowl. Give it a taste: add more seasonings as you see fit. 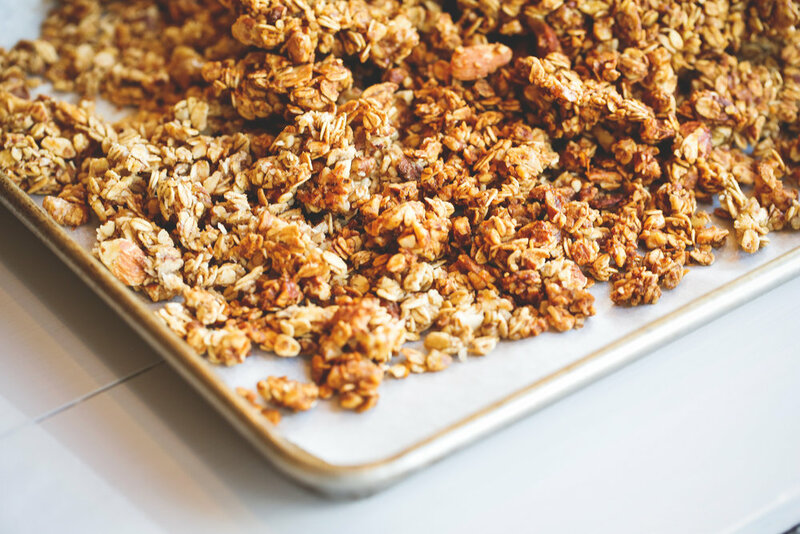 Spread the granola on the baking sheets and bake the granola until it is evenly toasted, about 25 minutes. Be sure to stir it halfway through cooking so it all browns evenly. 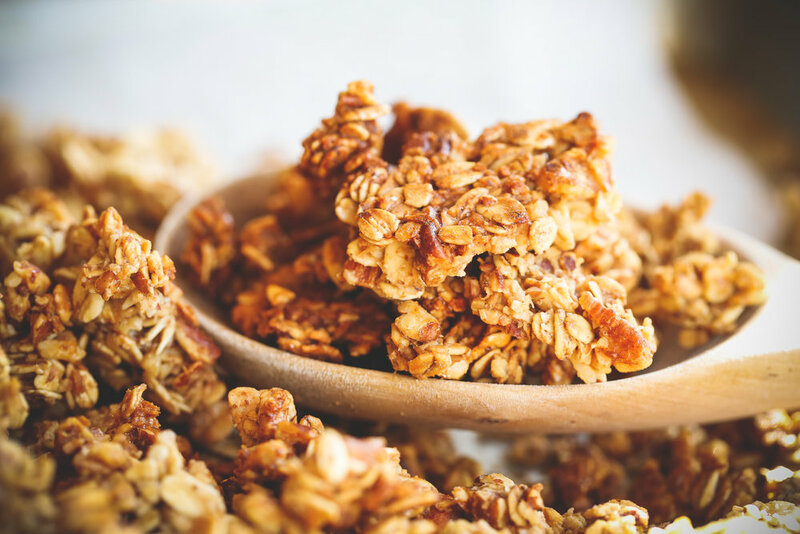 It keeps up to two weeks in the pantry in an airtight container.